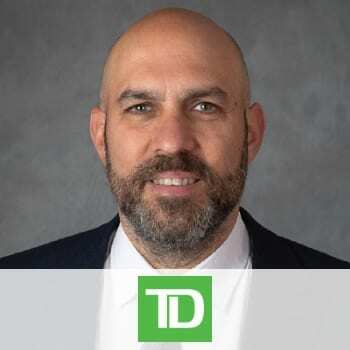 As Vice Chair and Head of Global Markets, Moti Jungreis is responsible for leading the Sales, Trading, and Origination teams for all of TD Securities globally. Under his leadership, the Global Markets team delivers innovative solutions and best-inclass execution, providing Fixed Income, Foreign Exchange, Credit, Energy, Metals, Equity, and Prime Brokerage products and services to corporate, government, and institutional clients. Moti joined TD Securities as an entry-level Trading Associate in 1996 and quickly established himself as a macro trader with a contrarian mindset. Through his drive and commitment to building client relationships, he went on to lead both the Global Foreign Exchange and International Fixed Income businesses, helping TD Securities establish itself as a leader in the SSA markets. In 2016, Moti was promoted to Head of Global Markets and now plays a key role on TD Securities’ senior leadership team.